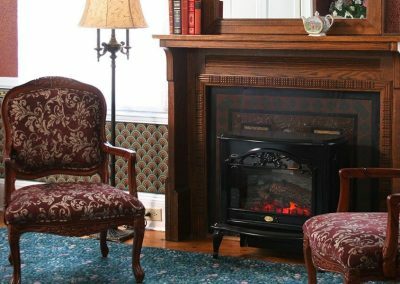 The Queen Victoria features several larger suites. 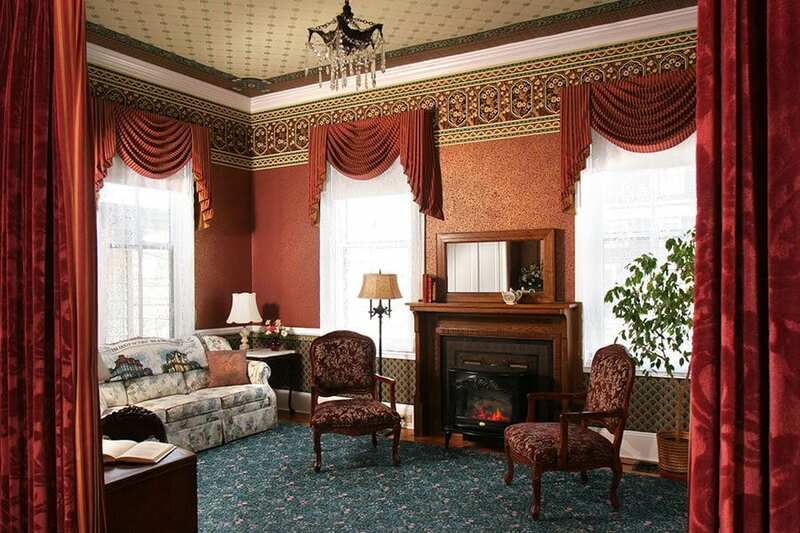 The King Edward luxury suite, one of the largest rooms in the inn, is located in the House of Royals building. 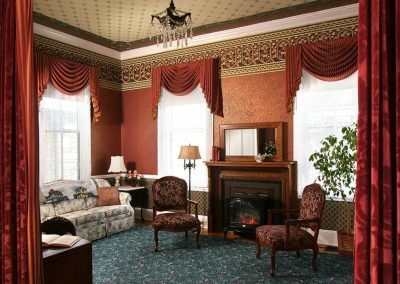 The second-floor suite features 13.5-foot ceilings and ornate custom-screened Bradbury and Bradbury wall and ceiling coverings. 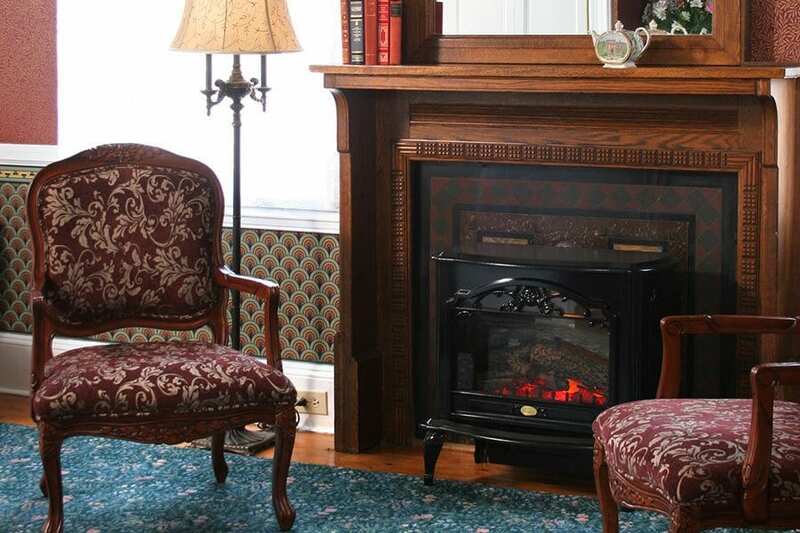 You can relax in the sitting room in front of the parlor stove that will be glowing with comfortable warmth. 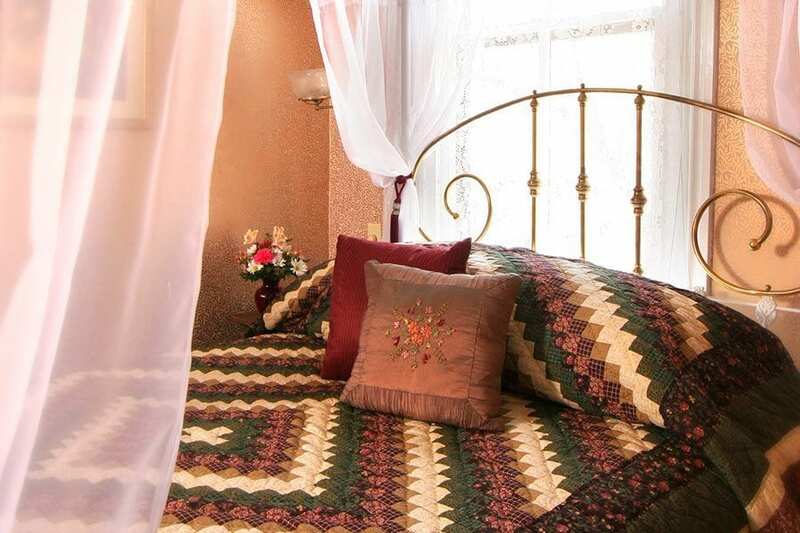 The comfortable easy chairs are separated from the bedroom area by handsome velvet draperies. A convenient wet-bar with handy microwave, Keurig and a mini-refrigerator is perfect for those private evenings alone together. Billowy sheer draperies surround the queen size bed to provide you with a most romantic experience. 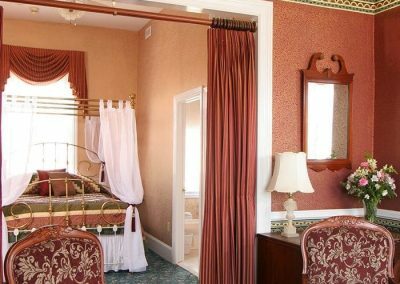 Your private balcony awaits you with rocking chairs and a glimpse of the ocean. 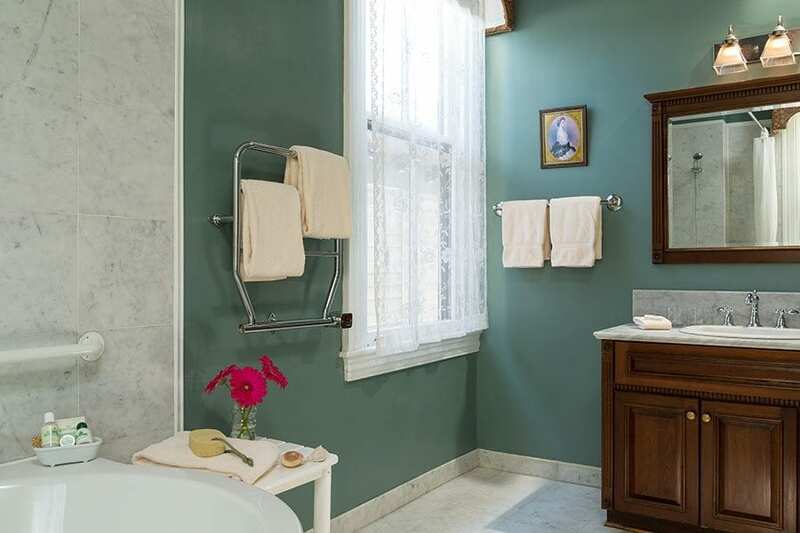 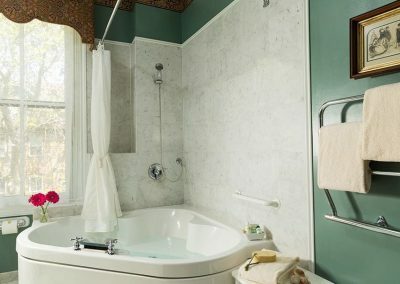 You will particularly enjoy the spacious elegant bathroom. 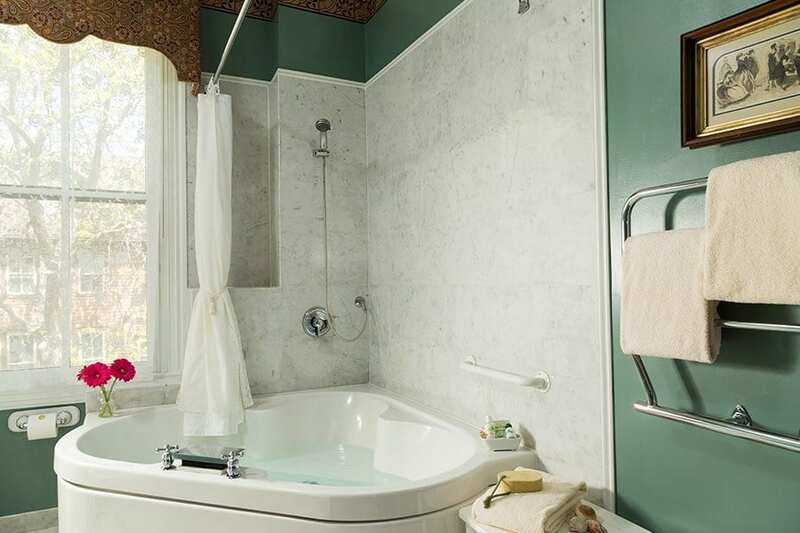 It is pure luxury with marble floors, a whirlpool tub for two with integrated European- style hydro-massage shower and even a bidet. 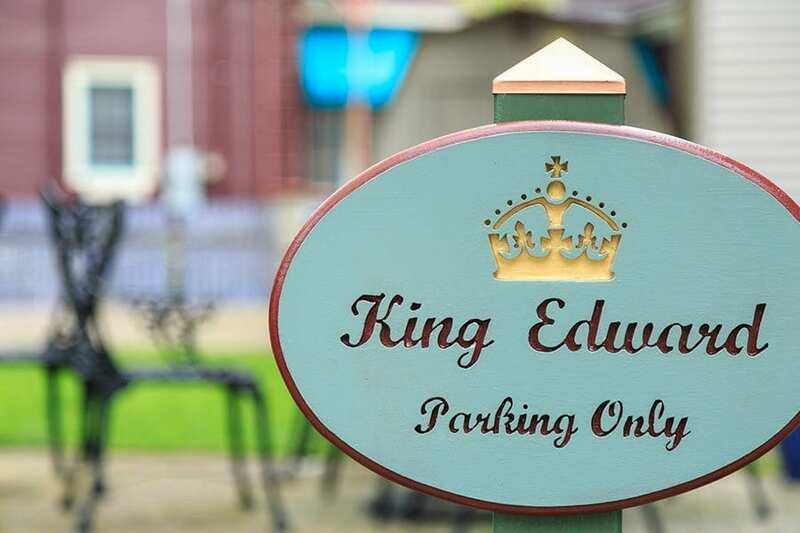 The King Edward room is one of the most popular choices for romantic occasions and is especially requested for special anniversary and birthday celebrations. 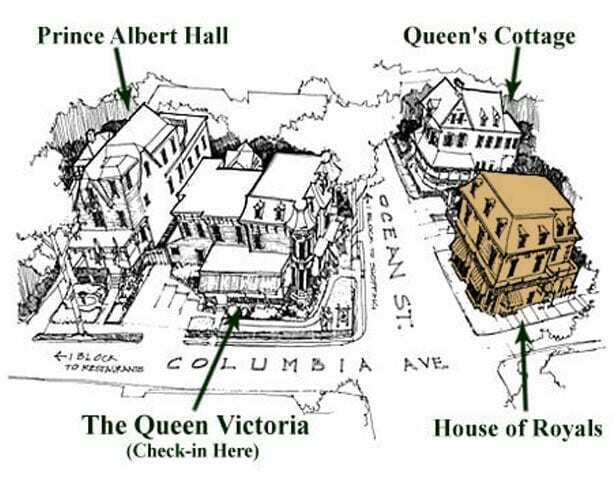 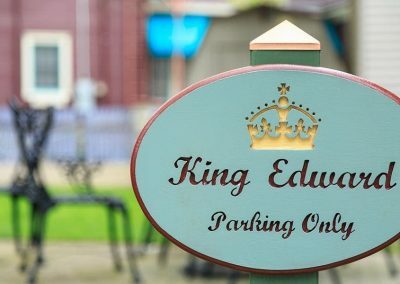 The King Edward room has a dedicated, off-street parking space. 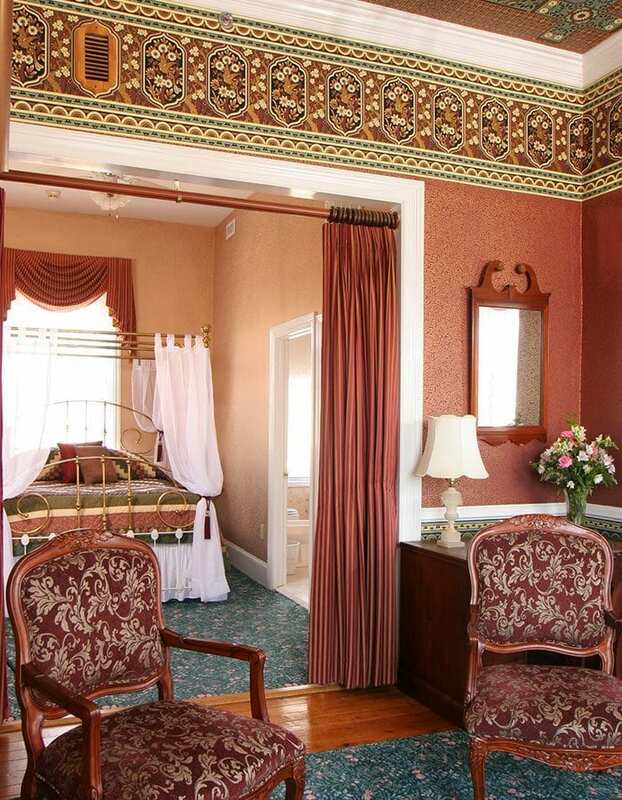 The King Edward suite is the perfect way to enjoy your wonderful Jersey shore vacation.